Courage: Yanig is an earthquake backpack made out of Japanese Maruyama tarpaulin and high-density nylon. 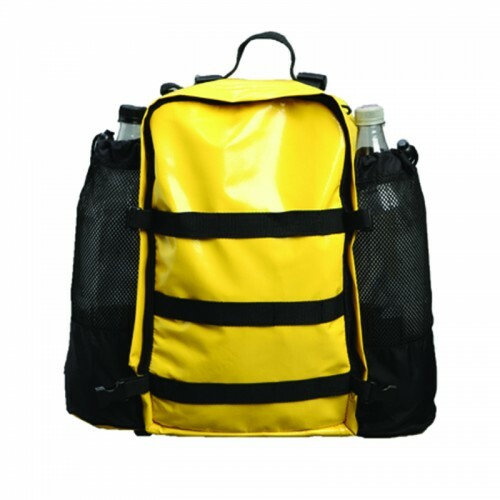 It can also be used as a floatation device; secure two empty 2L PET bottles inside the compartments before using. This bag is water-resistant.